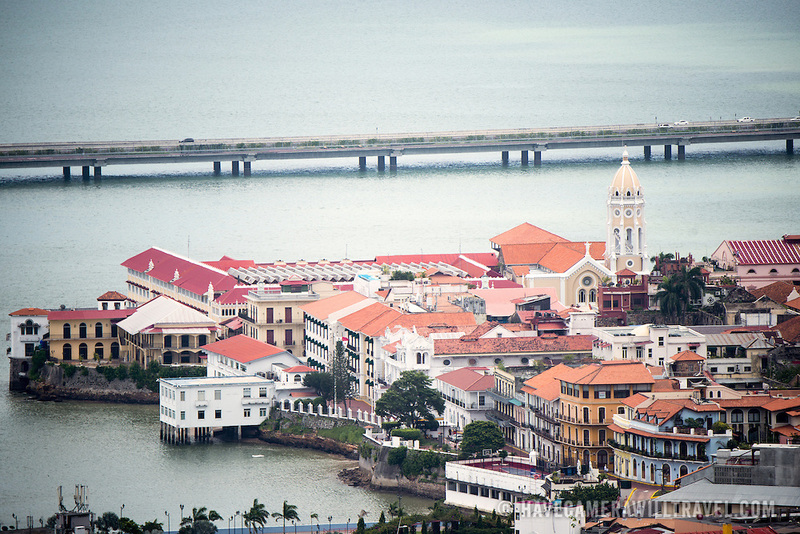 The controversial Coastal Beltway (Cinta Costera III) running around the historic district of Casco Viejo in Panama City, as seen from the top of Ancon Hill. Ancon Hill is only 654-feet high but commands an impressive view out over the new and old sections of Panama City. With views out over both the Pacific Ocean and the entrance to the Panama Canal, the area was historically where the administration of the Panama Canal was centered and now has a mix of high-end residences and government departments.